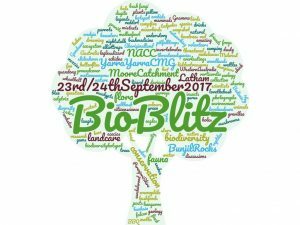 The bioblitzers arrived Saturday morning to register and set up camp. 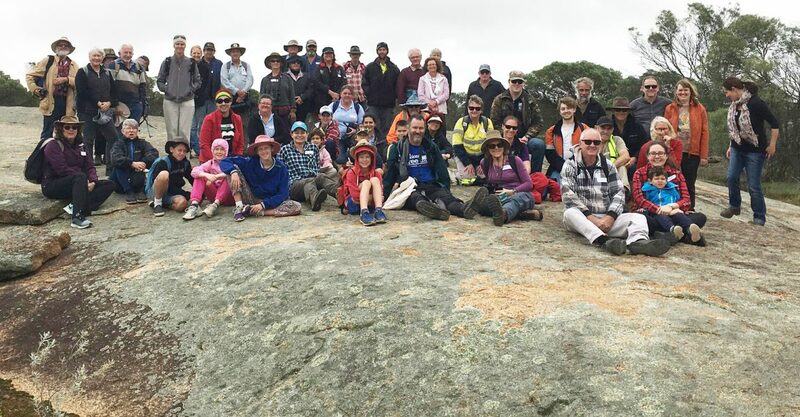 After an introduction from organisers Rachel, Lizzie King (YYCMG) and Jessica Stingemore (NACC), and a Welcome to Country by Badimia local Ashley Bell and his didgeridoo playing nephew Angus, bioblitzers made their way out to Bunjil Rocks reserve a few kms north. 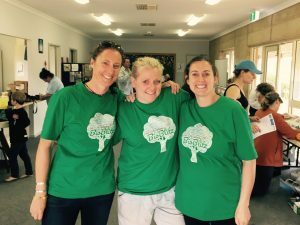 Rachel said “Participants then split into groups with an ‘eco-guru’ team leader and spent the afternoon exploring and surveying the bush. Gurus on-hand were Midwest flora expert Jenny Borger, bird enthusiast Phil Lewis, local landcare lover Paulina Wittwer, bat crazy and nest cam specialist Joe Tonga, and all-round eco guru and fauna trapping expert Nic Dunlop.” Fauna highlights on the first day included seeing a beautiful barn owl and rarely seen Nightjar accidently flushed from their day roosts, and a Western Yellow robin caught in a mist net and brought to the group by Nic so everyone could see up close. The evening’s activities included a night stalk led by Joe Tonga, who became all the children’s favourite leader with his gadgets and gizmos including infrared cameras and UV torches to spot scorpions. Dinner was catered for by a couple of local ladies from the Perenjori P&C who cooked tasty casseroles and curry followed by three different desserts – yum ! Sunday morning started (for some) with a dawn bird walk around camp led by Phil Lewis. Breakfast BBQ bacon and egg rolls followed, then back out to Bunjil Rocks for the final two survey sessions. Highlights included spotting a Spiny Tailed Skink which is Threatened species, seeing highly venomous Gwardar (Western Brown) snakes with Joe, and Jenny calculating that the flora team had logged around 120 species of plants over the 24hrs. Back at Latham HQ the final debrief, thank yous and lunch occurred before everyone departed for home and a well-earned rest. Rachel said “The event concluded just as the heavens opened – thank goodness. Many thanks to everyone who came along and helped make the event a raging success including the team leaders, caterers, and Shire of Perenjori for allowing us to use their facilities. It was an intense but fun 24hrs of flora surveys, bird spotting, nest spying, animal trapping, making friends, camping in the bush, pond dipping, bat stalking, sharing knowledge, eating, wind sun and a shower or two, plus laughs and good memories. 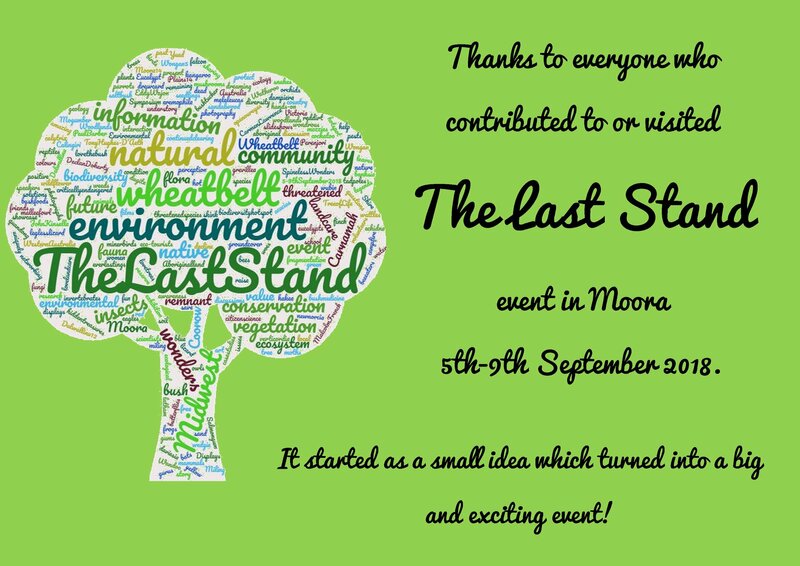 Huge thanks to the sponsors and funders who allowed this event to happen including Gunduwa Regional Conservation Association, National Landcare Program, Conservation Council, Moora Citrus, Westways Wildflowers, Kochii oil, Moore Park olive oil, Manavi eggs, Spineless Wonder and Earth Stewardship.